The Icelandair Group has decided that its possible involvement in WOW air’s operations, which it announced on 20th March 2019, will not materialize. 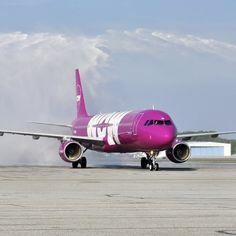 The future of WOW air as a going concern is incredibly limited, Indigo Partners, the investment force behind Wizz Air in Europe and Frontier in the USA also recently pulled out of in-depth rescue investment plans. "A majority of WOW air Bond Holders and other creditors of WOW air are in advance discussions with the aim of reaching an agreement on a voluntary restructuring including an agreement of converting current debt into equity and fund the company towards long term sustainability. Further information will be given tomorrow." However, as all previous discussions and plans have failed to achieve an acceptable result, the future of these last ditched talks to avoid the collapse of the carrier do not look very promising.